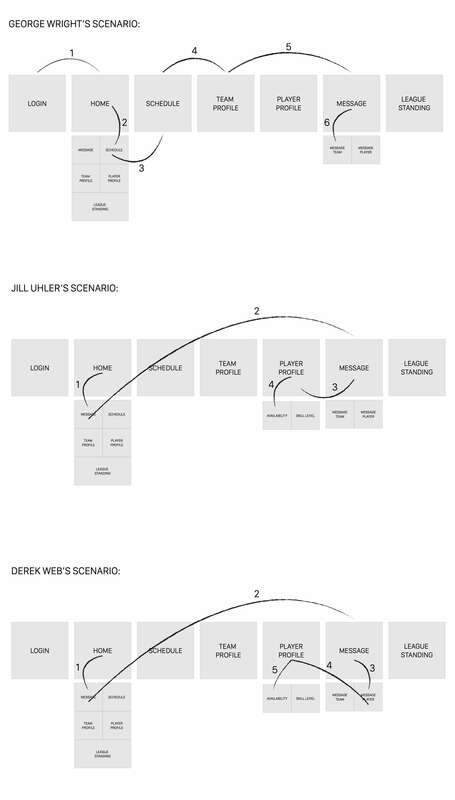 Organizing a pickup soccer league takes coordination. Players need to quickly know their game schedule, communicate with their entire team, know who is available to play, and make sure everyone is up to date with their league fees. 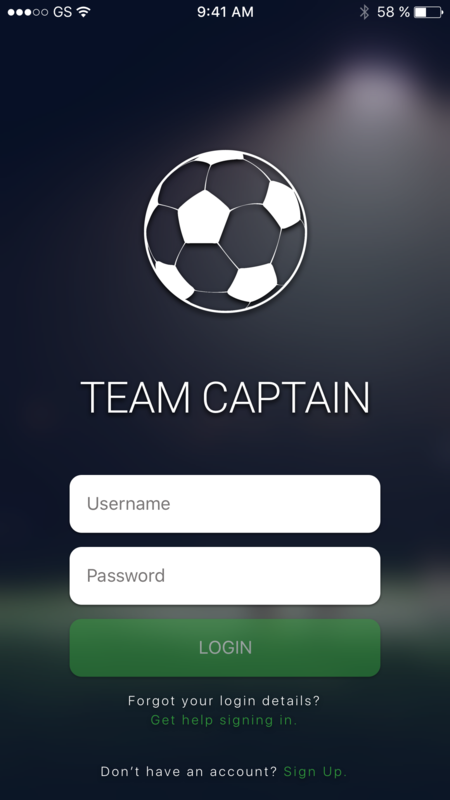 The Team Captain app functions as a communication and information platform for participants of amateur sports leagues. 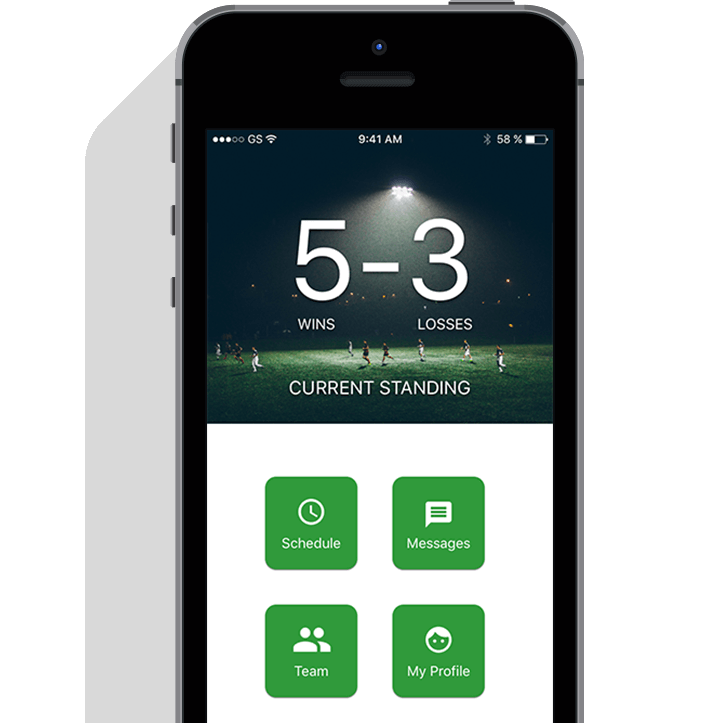 The app allows users to easily communicate with their teammates, check game schedules, see who is available to play, and manage payment of league fees. Players can update their status to indicate weekly availability, and message the entire team, or individual players. George Wright checks his team’s schedule to remind himself what team they will be playing this weekend. He is excited to find they’ll be playing the Hammer Heads. He then checks his team’s individual status notations and sees that his Center Defender, Derick, has not yet paid his fee to be a part of the league. He also notices that the majority of his team has not specified if they will be available to play this weekend. George decides to send out a friendly reminder to the entire team to ask that those who have not yet made their payments do so ASAP. He includes a reminder to all player to let him know whether or not they will be able to make it to the game this weekend. Derek logs into his account and receives a notification that he has an unread message. He navigates to messages and sees that his captain, George, has sent out a message to the entire team. He reads the message and remembers he has not marked his availability for this week yet. He is also slightly embarrassed to realize that he has not yet made his payments to play. He navigates to his profile to indicate he is available. He then marks his payment status as paid as he plans to Venmo his captain after closing the app. He then sends his captain a direct message and lets him know that he is sending the money now.